One of the key features of IndieBound.org is "Shop Local Online," which directs book buyers to the website of a bookstore near them. 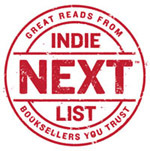 Books featured on the Indie Next List, the Indie Bestseller Lists, and elsewhere on the site include links for consumers to buy the book. Click on one of these links, enter your zip code, and you'll be presented with some online shopping options near you. With Major League Baseball's post-season in full-swing, we present the The Indie October Baseball Bestseller List, based on sales in independent bookstores nationwide for the eight-week period ending October 14, 2008. For the eight-week period ending October 7, 2008, and based on sales in independent bookstores nationwide. IndieBound has created a handy, new guide for booksellers who have been longing to take advantage of the wealth of customizable materials in the Bookseller Do-It-Yourself, but who have been afraid to take the plunge. Here's a preview of the November Indie Next List now on its way to ABA member stores in the IndieBound movement. The October Indie Next List Notables flier, in PDF format, features jacket images, bibliographic information, and bookseller quotes for a great selection of titles to complement the month's Indie Next List selections. Bookseller quotes are also currently available in an electronic file of Notables shelf-talkers. This Friday is the nomination deadline for the December Indie Next List. And now is a great time to nominate. ABA has announced the "Tell-a-Bookseller-Friend" Indie Next List Nomination Challenge, in which booksellers can win an ABA gift card worth $150. Booksellers who have nominated titles to the Indie Next Lists in the past are being enlisted to help bring new voices to the chorus of those contributing recommendations to future lists. The "Tell-a-Bookseller-Friend" Indie Next List Nomination Challenge encourages past contributors to tell bookseller friends who have never nominated a title to the lists just how easy it is to do. The Indie Next List for Reading Groups for Fall '08/Winter '09 will be arriving in bookstores in the IndieBound movement in the October Red Box mailing; however, the full list, with bookseller quotes, can be previewed online now. 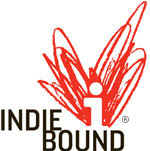 IndieBound is a movement that's dynamic, adaptable, and growing, and so, too, are its online resources. The American Booksellers Association has announced a new initiative to help booksellers encourage their colleagues to nominate titles for the Indie Next List -- and become eligible to win an ABA gift card in the process.